Sarah Rodenhouse is a professional dancer, and the president and co-artistic director of Mashup, an all-female contemporary dance company based in L.A. 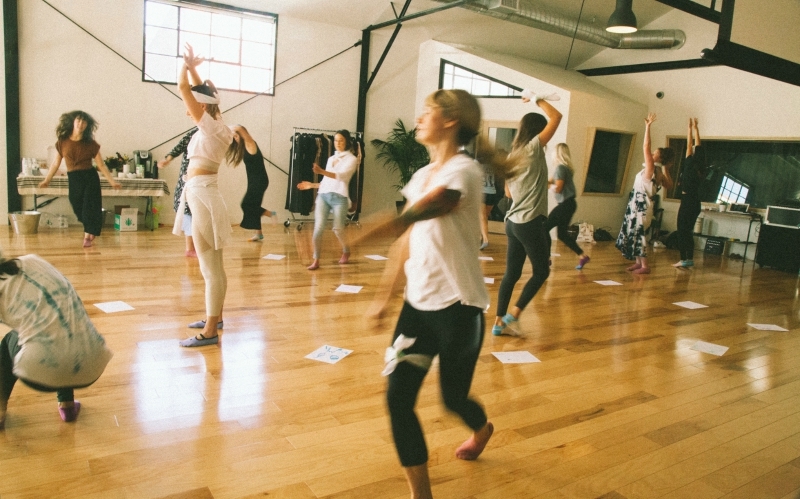 But she’s equally passionate about working with people who don’t have a background in dance, which is why she started Moved L.A., a series of creative movement workshops aimed at non-dancers. On Tuesday, April 3—aka World Party Day—Moved L.A. is hosting a donation-based workshop at its space in Frogtown, and every attendee gets a gift to take home. “The idea of World Party Day is a day where everybody is supposed to stop what they’re doing and party. When I think about that, I think about music and moving, and dancing just to celebrate the joy of existing,” says Rodenhouse. Moved L.A. is located at 2926 Gilroy St., across from Frogtown Brewery. The World Party Day event is Tue., April 3, 3-5 p.m. You can reserve a space on the Moved L.A. website, which also lists upcoming workshops.